Deb has been working on the idea of opening a coffee shop for over a year. “A series of fortunate conversations put Mike [Davidson, who owns the property] and me together,” she explains. This energetic woman with curly red hair has had experience from many jobs, all pointing towards this opportunity. She has managed food service operations since she was 20, and she owned a deli in Oregon. 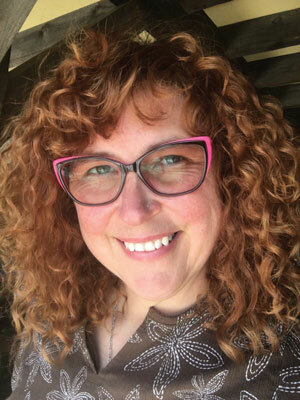 “I feel like I’ve done more than most for my age” – she’s in her mid-forties – “and I have entrepreneurial blood.” Other factors in her successes are her artistic talents and outgoing nature. Many people know her as ‘the hula hoop lady’ from the Lebanon and Hanover farmers markets. Mike is a strong believer in mixed-use, walkable downtowns. “Reworking old buildings is very hard,” he admits, after being involved in many such projects, but using old spaces has aesthetic and community benefits. If someone built out to the edge of the garage lot, it would visually cut off the route to the Carter Community Building, a social and athletic center of town. Mike has a fondness for Roy’s since he has bought gas there for 32 years. 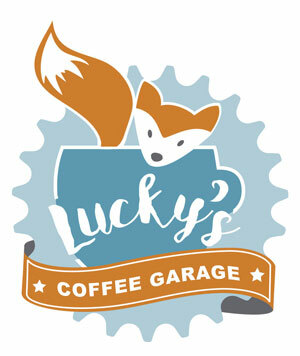 Lucky’s will contribute to the lifestyle of people who live and work in the area, says Mike. “It will be a place to sit and watch the world go by, like a Hopper painting. It’s why people come together in cities” – that pleasure in watching and chatting with each other. Now Deb, working with Mike, is turning her efforts to shepherding plans through the city’s permitting processes. Remodeling plans occupy her days, and she knows she has to hurry: She’s eyeing mid-June for an opening. “The city of Lebanon has been wonderful to work with so far,” she says. In addition to espresso drinks and drip coffee, Deb aims to provide pastries baked in house to soups made fresh daily and artisanal toast piled high with delectable toppings. She will use locally produced foods as much as possible, starting with King Arthur Flour bread. Clearly a sociable person, she realizes her cafe will be a service, but also a means to a larger end. “I’m really looking forward to providing a premium coffee experience – and connecting with the community!” she exclaims.